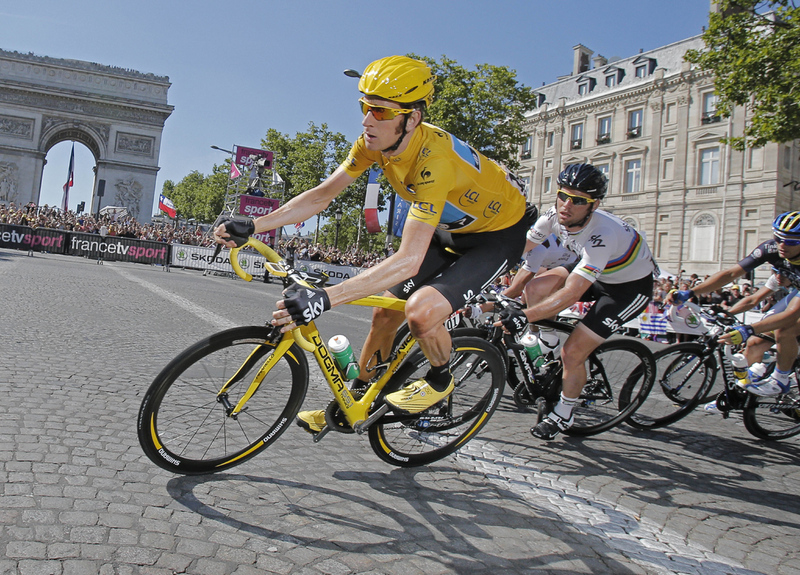 (AP) PARIS - Bradley Wiggins has become the first Briton to win the Tour de France, after safely protecting the yellow jersey during Sunday's final processional ride into Paris. He even helped Sky teammate Mark Cavendish earn his fourth straight sprint victory on the Champs-Elysees. Wiggins secured his win with a dominating performance in Saturday's final time trial to extend his already commanding lead. Fellow Briton and Sky teammate Christopher Froome finished second, 3 minutes, 21 seconds behind overall. Vincenzo Nibali of Italy finished third, 6:19 off the pace.